At last it’s time to cut the small talk and get with the sounds. Some of you will have seen the Good Doctor in concert. And survived to tell the tale. Others of you will have visited the Harp Surgery on line, or indeed in person, and wondered whether the boy can play. We can read the dedication and devotion, but is he turning all the night time into the day? The answer is why sho’. Welcome to the Patent Blues (country, rock and jazz) Remedy. This is a selection of the Good Doctor’s recordings. Some are polished, some are raw. They run chronologically from the late 1990’s to the present day, moving through jump blues, cajun, slow blues, jazz, contry and rock. He’d be the first to say that a sound studio is not his natural environment. The ambiance of a live gig is always preferable. Any road up, this selection should give you an idea of where it’s all coming from. We hope you enjoy the highlights. Listen using the player below, or download the MP3 here (14.7 Mb, right-click and choose ‘Save As..’). A description of each clip follows. 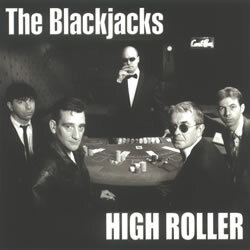 A cover of a Snooks Eaglin number which Carlos ‘The Jackal’ Taylor introduced to the original Blackjacks line up. It remained the opener for live shows throughout the lifespan of the band. The song gives the harp plenty of scope to bounce around in a lovely retro jump blues format. 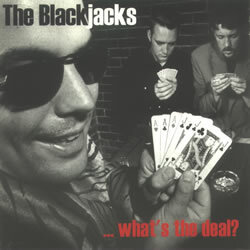 Mailman Blues was recorded on the 1999 album What’s The Deal, The Blackjacks’ first. Also from What’s The Deal, this is a Lazy Lester, swamp blues tune which Wilf introduced to the Blackjacks’ repertoire. Being a big fan of all things Louisiane, he gave the song some Cajun spice by playing acoustically and using octaves in a lazy bayou squeeze box way. This was a slow blues that Wilf wrote for a former work colleague who didn’t show up at the office one morning. Her boyfriend had murdered her. A terrible experience for family, friends and associates. The song was somehow cathartic. There was always an outpouring of genuine emotion in the harp solo as it built to an impassioned crescendo. The song was recorded on the What’s The Deal album. Another track from What’s The Deal, this was added to the band’s set by Wilf. While Carlos was a big James Harman fan, Wilf definitely came from the Fabulous Thunderbirds stable. As any T-Bird fans will know, harpmeister Kim Wilson borrowed a lot of material from the big swamp men, Slim Harpo and Lazy Lester. This number is by Slim Harpo and falls out of the harmonica comfortably. During live performances, Wilf’s famous tiger skin jacket gave a whole new meaning to the song! Here’s a harp instrumental written by Wilf that was included on the Blackjacks’ second album High Roller in 2002. The title refers to Clive ‘Jive’ Langhorn, his first student. Clive was asking about ways to break into the top register of the diatonic. Wilf came up with a riff at the low end of a G harp which could be repeated at the top. The song’s groove was a big band, retro shuffle. Consequently it felt appropriate to drop in some 3rd position chromatic work, heard here. 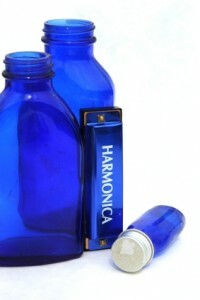 Wilf’s chosen harmonica for this part was a three octave Hohner CX12. By the time High Roller was recorded, only Wilf and Louis remained from the earlier Blackjacks line up. The new crew gave the band a less retro and more diverse set of blues credentials. Talk About It was the closing number both on the album and at live gigs. It showcased the searing guitar work of ‘Mighty’ Mick Taylor and gave the harp every opportunity to let rip. This was the slow blues which was central to the High Roller album. Wilf remembers feeling skeptical as he sat on the sofa, watching Simon ‘Tex’ Sparrow pen the lyrics. The title seemed contrived. But by the time the rest of the band had woven their magic, it proved to be the mature and well crafted piece of work Simon had had in mind. So much so, the critics repeatedly gave it the double thumbs up. Wilf’s harp solo was inspired by Steve Baker’s masterful third position work Double Crossed And Blue and is probably his proudest studio moment. When you listen to the highlight here, you will be forgiven for thinking what does this have to do with Scarboro Fair? The answer becomes apparent when you hear the full track. It begins with the traditional melody, then jazzes things up using the same 3rd position patterns. The format literally came to the Good Doctor while lying in the bath one afternoon. A musical Eureka moment after his friend Tom Palmer (of The Ant Hill Mob) recommended Scarboro Fair as a good way of learning the safe notes for 3rd position diatonic. The rest is history. Standing before the judges and affiliates of the UK National Harmonica League, the Good Doctor’s jazz performance of Scarboro Fair won him the title of British Harmonica Champion. This track comes from the 2001 album No More Long Goodbyes by The Blue Hearts, the UK’s premiere dark country’n’soul band. If you ever see them live, you are guaranteed a fabulous evening. The Blue Hearts kindly invited Wilf to record harmonica on the album and join them for subsequent gigs. This was his first excursion into country music; a change of hat which was both challenging and very welcome. 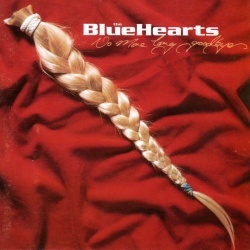 This was The Blue Hearts’ single (circa 2003), released in response to The Mavericks’ Dance The Night Away. Dance With My Girl, a very catchy tune, was given three different mixes – mainstream, country and latin. Wilf plays here on the country version. Download a recording of the track from their web site here. This was the result of a Boy Cried Wolf recording session called by Paul Rawson. Green Bullet, Fender Twin Reverb and Copycat to the fore and we were hitting a blues rock groove not dissimilar to the mighty Led Zep. Inadvertently we hasten to add. It was only after the session Wilf enquired about the people he’d recorded with. Nodding at the singer, Paul replied he’s guitarist for the Manic Street Preachers. And the sound guy? Oh he’s done them all. Remember that album by The Darkness?… The harpman was glad he hadn’t asked before the session started. Paul Rawson is guitarist for The Elevators and Boy Cried Wolf. This track was a collaboration between Paul and Wilf that was released as part of a themed library music compilation in 2009. Inspiration was drawn from the Howlin’ Wolf drum pattern on How Many More Years and heavy electric blues moods from the likes of Alabama 3 and R L Burnside. The result was something very urban or industrial which would sit nicely behind the right advertisement or TV/film show soundtrack. Great site… Thanks for taking the time to share your skills. Thanks Dinah. Keep coming back as I’m about to refresh past items and add some more, now I’m part-time with the day job! Hopefully some video too. I would love to listen to the podcast unfortunately it does not show up on podcast Republic RSS feed and I can’t download the files on my Android . anywho feel free to send me an email.